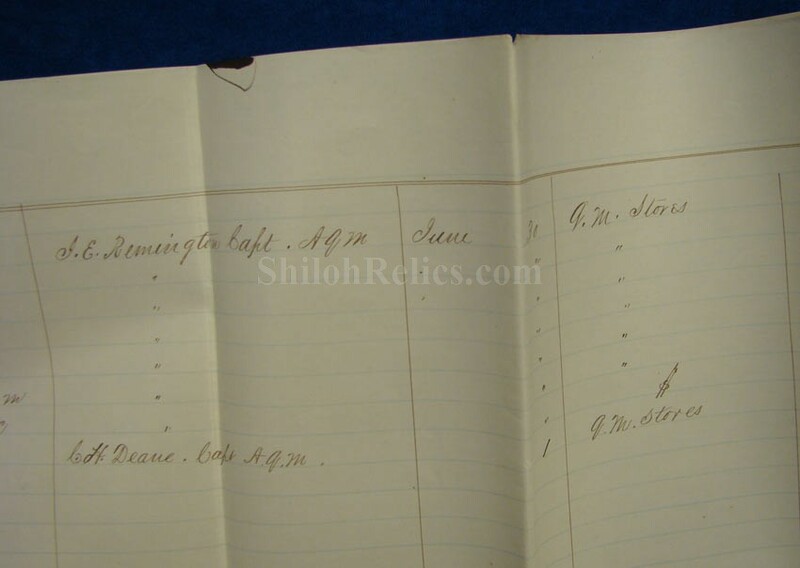 Here is a large size document from June of 1864. 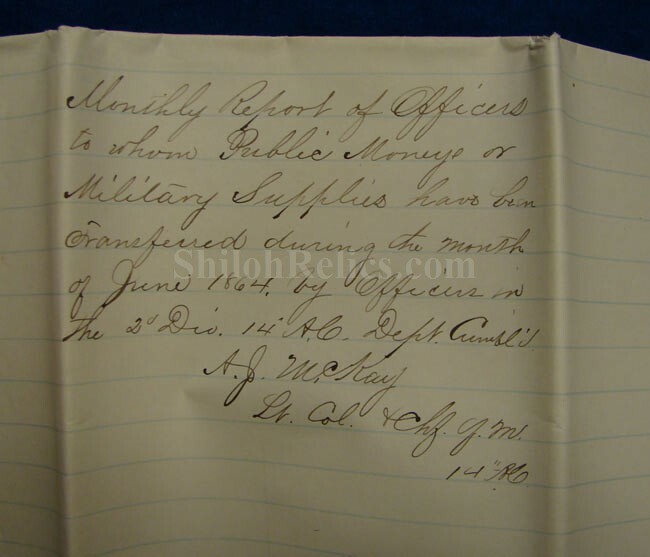 This is s "Monthly report of officer's to whom Public Money or Military Supplies have been transferred during the month of June 1864 by officers in the 2nd Div. 14th A.C. Dept. Cumb." It is signed by the chief Quartermaster of the 14th Army Corps in the Army of the Cumberland, A.J. McKay. 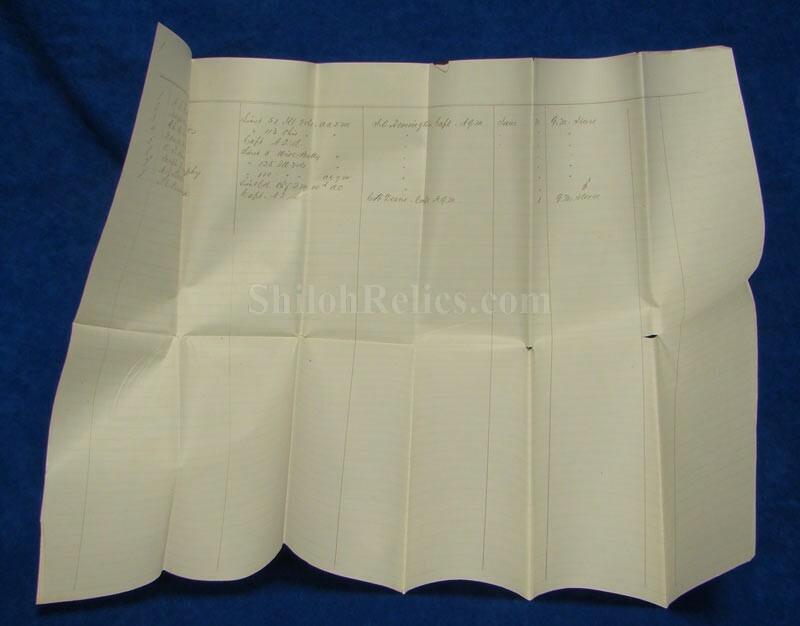 The document is large at approximately 17 inches by 22 inches in overall size. 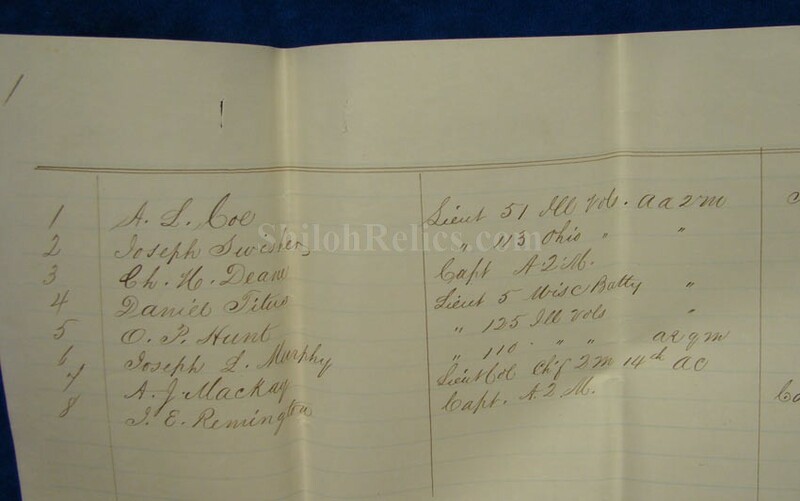 When you open it up you see the list of names of the officers that include soldiers from Illinois, Ohio and Wisconsin. 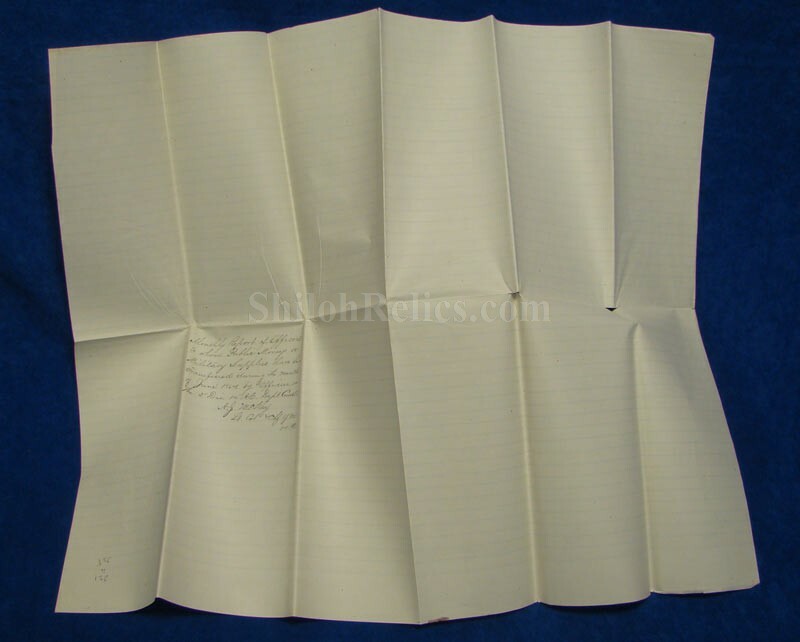 As you can see it displays well with only some separations at the fold lines. A nice big piece that is only $38.00.